Clarksville, TN – On Friday, September 14th, 2018 Tennessee Governor Bill Haslam, who will leave office when his term ends later this fall, visited Austin Peay State University, and he asked the school’s Board of Trustees what he should tell his successor about the University. Don Jenkins, a trustee, immediately mentioned Austin Peay’s military focus. “This is a very military-friendly town, but it’s an incredibly military-friendly college,” he said. Austin Peay State University President Alisa White and Board Chair Mike O’Malley present Tennessee Governor Bill Haslam with an APSU hat. 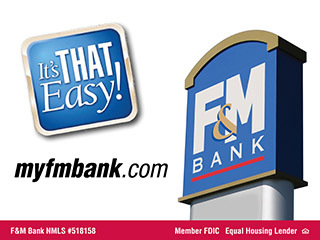 A few minutes later, the board unanimously voted to convert one of Austin Peay’s College Street properties (the former Jenkins and Wynne Lincoln-Mercury Building) into a Military Family Resource Center. The repurposed building will have the potential to house several of the University’s existing academic and support programs in one location, including the Military Student Center, Veterans Upward Bound, the U.S. Department of Veteran Affairs’ VetSuccess on Campus office, and Military-focused satellite offices for Career Services, Admissions, the Registrar and Student Financial Aid. “That’s a little intimidating,” Haslam joked. During the meeting, Mike Krause, executive director of the Tennessee Higher Education Commission, also briefed the board on Austin Peay State University’s impressive efforts regarding student success. Since Tennessee moved to an outcomes-based funding formula in 2010, shifting the focus from financially rewarding colleges for the number of students they enroll to funding institutions for actually awarding degrees and certificates, Austin Peay has led the state. This sentiment was echoed earlier this month when Dan Bauman, a journalist with the Chronicle of Higher Education in Washington, D.C., tweeted findings from the Tennessee Comptroller’s Office. 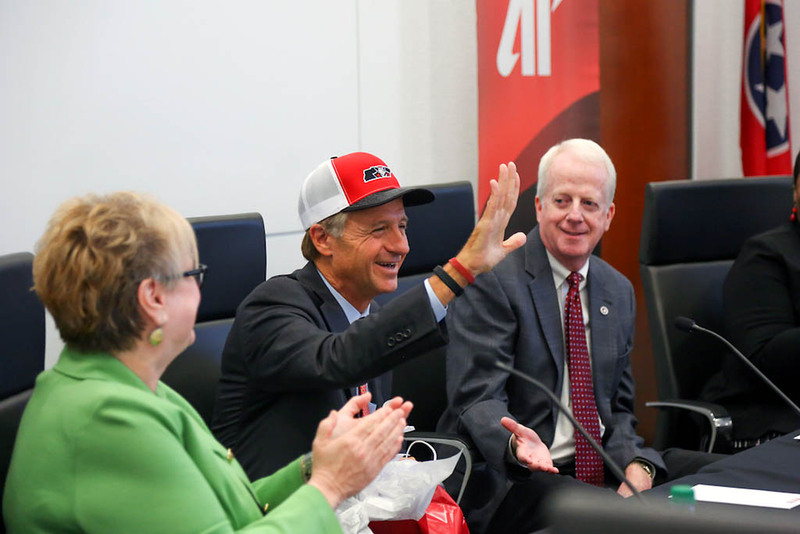 The board presented the governor with a gift bag of University memorabilia, including a hat with the APSU athletic mark on it. Haslam joked with the board that all the “Be a Gov” signs on campus encouraged him. “I might just hang out here,” he said. Topics: Alisa White, APSU, APSU Board of Trustees, APSU Military Family Resource Center, APSU president, Austin Peay State University, Bill Haslam, Clarksville TN, College Street, Gary Luck, Mike Krause, Robin Mealer, Ron Bailey, Scott Brower, Tennessee, Tennessee Governor, Tennessee Higher Education Commission, U.S. Department of Veterans Affairs, VetSuccess, Washington D.C.